Join us for the 10-th edition! With a record number of submissions, this will be an edition of WSDM you do not want to miss. The proceedings for WSDM 2017 are available online and accessible through http://www.wsdm-conference.org/2017/proceedings/. Is there an impact of double-blind reviewing in a conference setting? On bidding behavior? On reviewing behavior? Does fame pay? Find out which reviewing model WSDM should use in the future… During WSDM 2017, the PC chairs Andrew Tomkins and Min Zhang ran an experiment on single-blind vs double-blind reviewing. A detailed write-up of the experiment plus an analysis of the results by Andrew Tomkins, Min Zhang and William D. Heavlin has been posted on arXiv at https://arxiv.org/pdf/1702.00502v1.pdf. A summary of the design, analysis and conclusion of the experiment is on Google docs. Slides for Claire Cardie’s keynote are available online. Slides for Ralf Herbrich’s P&E keynote are available online. Slides for Steve Young’s keynote are available online. Slides for Ricardo Baeza-Yates’ keynote are available online. For registration, follow the WSDM banners by the east entrance of The Guildhall upstairs to the registration desk, which will be open 8:15am–7:00pm daily! An up-to-date PDF version of the conference booklet with the full program is available for offline reading. WSDM 2017 will be the largest European edition of WSDM ever. Some of the workshops on Friday February 10 are sold out or nearly sold out. If you still want to register for one of the workshops that has room, please hurry up. We are proud to announce Nick Craswell, Principal Applied Science Manager in Microsoft, as one of our Practice and Experience track speakers. Detailed program is online at http://www.wsdm-conference.org/2017/detailed-program/. iSoftStone joins WSDM 2017 as a Bronze Sponsor. Regular registration for WSDM2017 ends in just over a week, on January 9, 2017. Please visit http://www.wsdm-conference.org/2017/attending/registration/ and register!. Program for the Startup Day to be held at WSDM 2017 on Monday February 6, 2017 is available online at http://www.wsdm-conference.org/2017/startup-day/. Google joins WSDM 2017 as a Gold Sponsor. Registration for WSDM 2017 is open now. Head on over to http://www.wsdm-conference.org/2017/attending/registration/ to identify the package that suits you best and follow the link to the RegOnline registration page. Appen joins WSDM 2017 as a Silver Sponsor. Our program overview is online at http://www.wsdm-conference.org/2017/overview/. The list of accepted tutorials for WSDM 2017 is online at http://www.wsdm-conference.org/2017/tutorials/. Facebook joins WSDM 2017 as a Gold Sponsor. The registration fees for WSDM 2017 are online. Registration will open in a few days. Please see http://www.wsdm-conference.org/2017/attending/registration/. Bloomberg joins WSDM 2017 as a Gold Sponsor. The list of accepted papers for WSDM 2017 is online at http://www.wsdm-conference.org/2017/accepted-papers/. 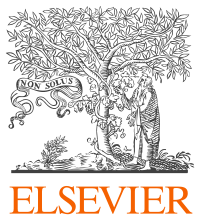 Elsevier joins WSDM 2017 as a Silver Sponsor. Notifications for the main conference have been sent out. This year we received 505 valid submissions, 35% more than any past year. We were able to accept only 80 of these, representing an accept rate of about 16%. A draft of the program for the Startup Day to be held at WSDM 2017 on Monday February 6, 2017 is available online at http://www.wsdm-conference.org/2017/startup-day/. 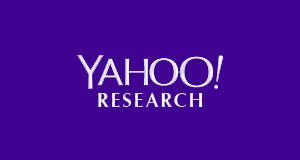 Criteo Research joins WSDM 2017 as a Gold Sponsor. Yahoo! Research joins WSDM 2017 as a Silver Sponsor. eBay joins WSDM 2017 as a Gold Sponsor. Yandex joins WSDM 2017 as a Bronze Sponsor. We are proud to announce Ricardo Baeza-Yates, from NTENT, UPF and the University of Chile, as one of our keynote speakers. The call for papers for the WSDM 2017 Workshop on Mining Online Health Reports is available now at https://sites.google.com/site/mohrs2017/home. The call for papers for the WSDM 2017 Workshop on Cyber Deviance Detection (CyberDD 2017) is available now at http://mklab.iti.gr/cyberdd2017/. The call for papers for the WSDM 2017 Workshop on Mining Actionable Insights from Social Networks is available now at http://ls3.rnet.ryerson.ca/MAISoN/2017/. The call for papers for the WSDM 2017 Workshop on Scholarly Web Mining is available now at https://ornlcda.github.io/SWM2017/. The deadline for the WSDM 2017 Doctoral Consortium is extended to October 20, 2016. Submissions via https://easychair.org/account/signin.cgi?key=43748215.J6lg2Rqp7zjap6TW. Attending WSDM 2017? Use http://conferenceshare.co to cut costs by sharing hotel room or car rental with fellow attendees! We are proud to announce Andrew Blake, director of the Alan Turing Institute, as one of our Practice and Experience track speakers. The WSDM 2017 Call for Tutorial proposals is out now at http://www.wsdm-conference.org/2017/calls/tutorials/. Deadline: September 18, 2016. WSDM 2017 received a record number of 505 submissions, a 37% increase compared to last year’s 368. We are proud to announce Steve Young from Cambridge University as one of our keynote speakers. We are proud to announce Ralf Herbrich from Amazon as one of our Practice and Experience track speakers. We are proud to announce Jan Pedersen from Microsoft as one of our Practice and Experience track speakers. We are proud to announce Anjali Joshi from Google as one of our Practice and Experience track speakers. We are proud to announce Claire Cardie from Cornell University as the first of our keynote speakers. WSDM 2017 paper abstracts due in four weeks! Thomson Reuters joins WSDM 2017 as a Bronze Sponsor. Microsoft joins WSDM 2017 as a Platinum Sponsor. AI Journal funds student scholarships at WSDM 2017!